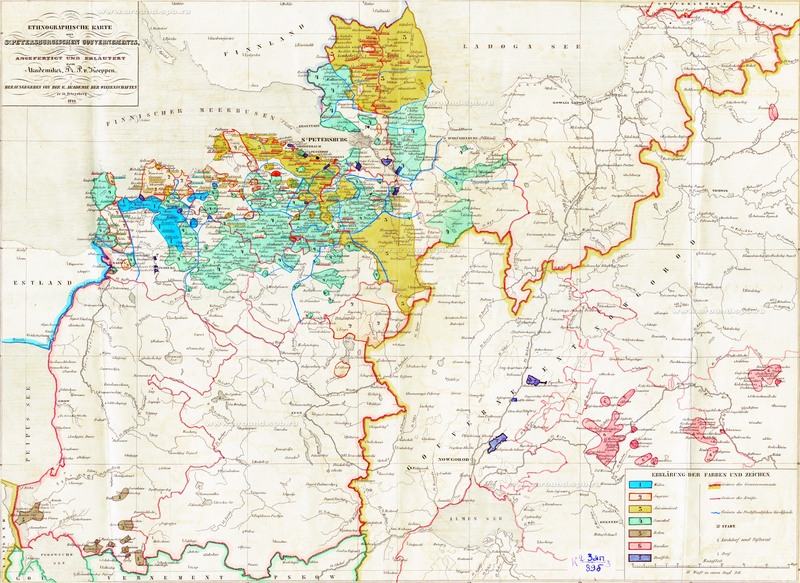 History and Administrative Division . Established in 1708 as Ingermanland Gubernia, in 1710 renamed Sankt Petersburg Gubernia. In 1727 Novgorod Gubernia split off. 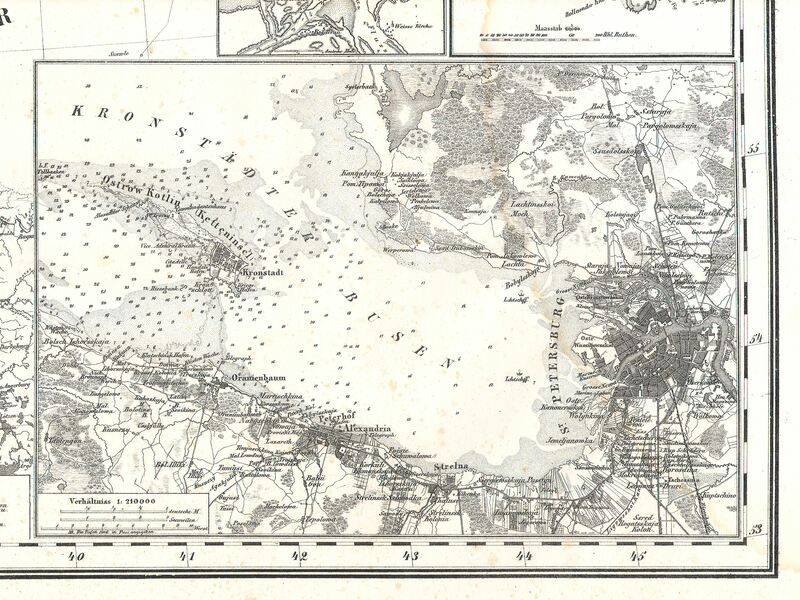 Bordered in the north on Finland, in the northeast on Olonets Gubernia, in the southeast on Novgorod Gubernia, in the south on Pskov Gubernia, in the west on Livland Gubernia (Livonia) and Reval Gubernia (Estonia). 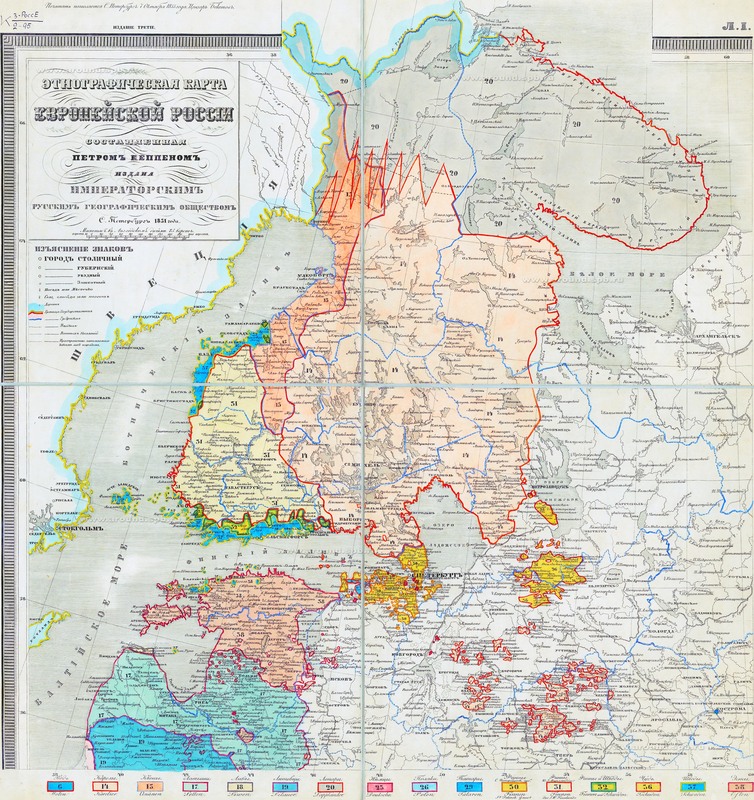 Samkt Petersburg Gubernia was divided in 8 districts (Uyezds) : Gdov, Yamburg, Luga, Novaya Ladoga, Peterhof, S., Schlüsselburg und Tsarskoe Selo. The Zemstvo Laws passed in 1864 granted regional self-government on Gubernia and Uyezd level; the regional administrative bodies are refererred to as Zemstvos. The Zemstvos were abolished in the course of the October Revolution. Population . The population in 1811 was 600,000, in 1840 934,300, in 1867 1,160,000, in 1885 1,646,100, in 1914 3,197,800 (Lahmeyer). The vast majority was Russian Orthodox, further Old Believers, Armenians, Catholics, Protestants, Jews, Muslims.